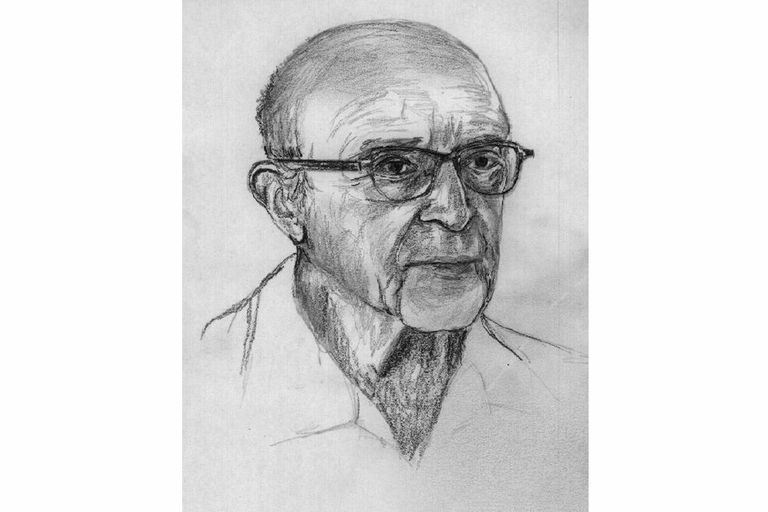 Carl Rogers was an American psychologist known for his influential psychotherapy method known as client-centered therapy. Rogers was one of the founding figures of humanistic psychology and widely regarded as one of the most eminent thinkers in psychology. In one survey of professional psychologists, Rogers was ranked as the sixth most eminent psychologist of the 20th-century. Carl Ransom Rogers was born in 1902 in Oak Park, Illinois. Rogers was the fourth of six children born to his parents, a civil engineer, and housewife. Rogers was a high achiever in school from an early age. He could already read before age 5, so he was able to skip kindergarten and first grade entirely to enter school in the second grade. When he was 12, the family moved from the suburbs to a rural farm area. He enrolled at the University of Wisconsin in 1919 as an agriculture major but later changed to religion with plans to become a minister. It was a visit with a school group to Beijing and a bout of illness that caused him to start reconsidering these plans. After attending a 1922 Christian conference in China, Rogers began to question his career choice. He graduated from the University of Wisconsin in 1924 with a bachelor's degree in History and enrolled at the Union Theological Seminary before transferring to Teachers College of Columbia University in 1926 to complete his master's degree. Part of the reason he chose to abandon his pursuit of theology and switch to the study of psychology was a course he took at Columbia University taught by the psychologist Leta Stetter Hollingworth. Rogers decided to enroll in the clinical psychology program at Columbia. He completed his doctorate at Columbia in 1931. After receiving his Ph.D., Rogers spent a number of years working in academia, holding positions at Ohio State University, the University of Chicago, and the University of Wisconsin. It was during this time that Rogers developed his approach to therapy, which he initially termed "nondirective therapy." This approach, which involves the therapist acting as a facilitator rather than a director of the therapy session, eventually came to be known as client-centered therapy. In 1946, Rogers was elected President of the American Psychological Association. Rogers wrote 19 books and numerous articles outlining his humanistic theory. Among his best-known works are Client-Centered Therapy (1951), On Becoming a Person (1961), and A Way of Being (1980). After some conflicts within the psychology department at the University of Wisconsin, Rogers accepted a position at the Western Behavioral Studies Institute (WBSI) in La Jolla, California. Eventually, he and several colleagues left WBSI to form Center for Studies of the Person (CSP). In 1987, Rogers was nominated for a Nobel Peace Prize. He continued his work with client-centered therapy until his death in 1987. Rogers believed that all people possess an inherent need to grow and achieve their potential. This need to achieve self-actualization, he believed, was one of the primary motives driving behavior. For psychotherapy to be successful, Rogers suggested, it was imperative for the therapist to provide unconditional positive regard to the client. This means offering support and a lack of judgment, no matter what the client feels, does, or experiences. The therapist accepts the client as they are and allows them to express both positive and negative feelings without judgment or reproach. Rogers believed that the formation of a healthy self-concept was an ongoing process shaped by a person's life experiences. People with a stable sense of self tend to have greater confidence and cope more effectively with life's challenges. Rogers suggested that self-concept begins to develop during childhood and is heavily influenced by parenting. Parents who offer their children unconditional love and regard are more likely to foster a healthy self-concept. Children who feel that they have to “earn” their parents love may end of with low self-esteem and feelings of unworthiness. Rogers also suggests that people tend to have a concept of their “ideal self.” The problem is that our image of who we think we should be does not always match up with our perceptions of who we are today. When our self-image does not line up with our ideal self, we are in a state of incongruence. By receiving unconditional positive regard and by pursuing the actualizing tendency, however, people can come close to reaching a state of congruence. Rogers suggested that people who continually strive to fulfill their actualizing tendency could become what he referred to as fully-functioning. A fully-functioning person is one who is completely congruent and living in the moment. Like many other aspects of his theory, unconditional positive regard plays a critical role in the development of full functioning. Those who receive nonjudgmental support and love can develop the self-esteem and confidence to be the best person they can be and live up to their full potential. The ability to live in harmony with others. With his emphasis on human potential, Carl Rogers had an enormous influence on both psychology and education. Beyond that, he is considered by many to be one of the most influential psychologists of the 20th century. More therapists cite Rogers as their primary influence than any other psychologist. As described by his daughter Natalie Rogers, he was "a model for compassion and democratic ideals in his own life, and in his work as an educator, writer, and therapist." You can find more great words of wisdom in the collection of Carl Rogers quotes. Rogers, C. (1951) Client-centered Therapy: Its current practice, implications, and theory. Boston: Houghton Mifflin. Rogers, C. (1961) On Becoming A Person: A Therapist's View of Psychotherapy Boston: Houghton Mifflin. Cohen, D. (1997) Carl Rogers. A critical biography. London: Constable. Thorne, B. (1992) Carl Rogers. London: Sage. Lawson, R, Graham, J, & Baker, K. A History of Psychology Globalization, Ideas, and Applications. New York: Routledge; 2016. Thorne, B & Sanders, P. Carl Rogers. Los Angeles: Sage Publications; 2013. What Was Lev Vygotsky's Influence on Psychology?